The desire to conserve orange and lemon trees through the winter months led to the making of conservatories from the Renaissance onwards. The conservatory was either attached to the house, integrated with the garden wall or built as an independent structure. 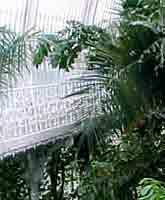 New uses were then found for the conservatory: growing exotic flowers and a sunroom for weather. 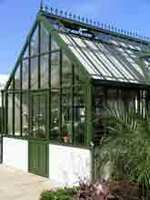 The development of cast iron and glass in the nineteenth century created a craze for conservatories. It faded under the influence of modernism but returned after 1970s, with a range of greenhouses, sunrooms and conservatories available by mail order. glass as an alternative to polycarbonate sheeting. Glass allows more light to enter and looks so much more beautiful.